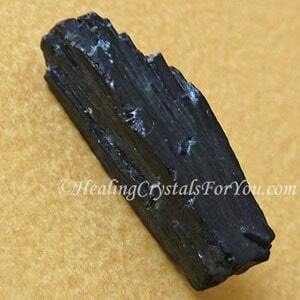 Aegirine have an excellent energy to provide protection from psychic attack, and will help to break the hold of negative beings already attached. 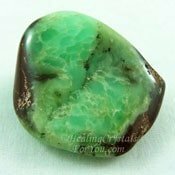 For anyone with electrical sensitivity, this is a beneficial stone to keep on your body, to help you to deal with man made radiation. 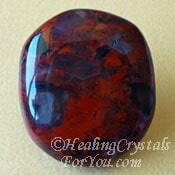 They are stones that have a number of powerful attributes that make them useful to use to improve your life. It may be especially advantageous for those battling addictions. 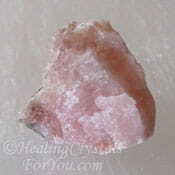 They are beneficial healing crystals for you to put to use as they have a good healing energy for physical problems as well as also having excellent properties to assist emotional healing. 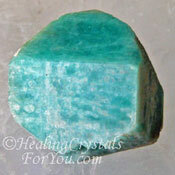 This mineral was named after the Scandinavian God of the sea Aegir, and is one of the minerals that make up Nebula Stone. 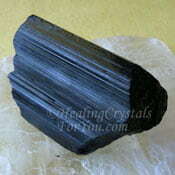 It is found in South Africa, Russia, Canada, the USA and Greenland. 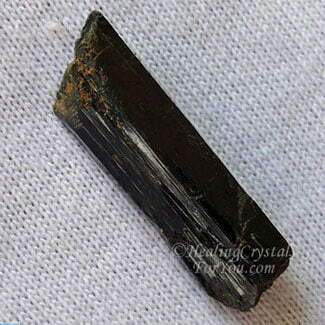 It is also known as Acmite and may occur in combination with a number of other minerals, including with Arfvedsonite, Natrolite, Tugtupite, Kakortokite or Albite. The color of these stones commonly look like they are black. 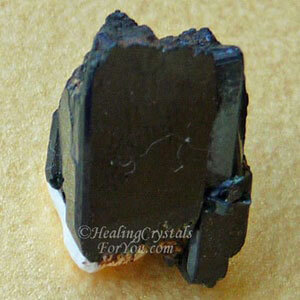 But while the stones may seem to be black they may actually be very dark green or brownish black. 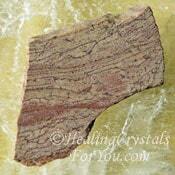 They commonly have striations in the stone which you can see in many of the pictures, or they may form as prismatic crystals. 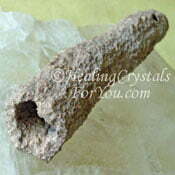 This stone often sells as long slim pieces known as wands. You may also see it (incorrectly) spelled "Aegerine" in various places where the stone is selling, and they are probably talking about the same stone. 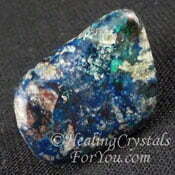 They are known to be beneficial to keep close to you if you are electrically sensitive. 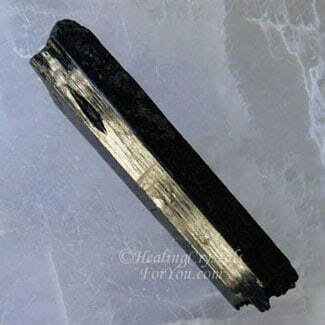 In particular Aegirine is a EMF protection crystal that may be helpful to you if you find that you are sensitive to low frequency radiation sources. This includes reactions sensitivity to internet and cell phone towers, as well as to computer emanations and wi-fi emissions. Additionally it may also assist you if you react to other types of radiation, especially if you find that you feel unwell when you are close to other radiation emitting electrical appliances that are man-made. While it is not one of the most well known Pisces birthstones, it has been classified as a stone to help those born under this zodiac sign. 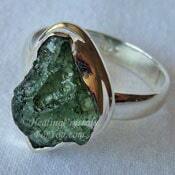 Wearing Aegirine jewelry is a wonderful way to use it as it embodies an energy that stimulates joy and happiness. 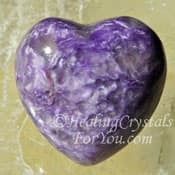 They are helpful stones to use for anyone is feeling stressed by life's events or when you are feeling depressed or filled with negative emotions. 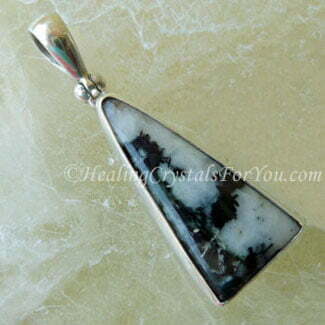 Wearing an Aegirine pendant creates a defensive barrier with a strong protective energy, as they are powerful stones to help to protect you from psychic attack. It is well known for its action to break the hold of negative beings that may already be attached to you, as well as being very useful for prevention. 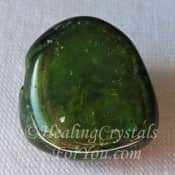 Their energy helps to stimulate good feelings, which one of the other reasons why it is an excellent stone to use if you are feeling stressed or anxious. 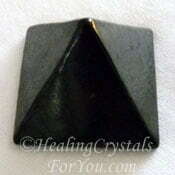 These black stones are useful to strengthen healing if you use them with other minerals that have similar attributes, as they may boost the way the other minerals function. 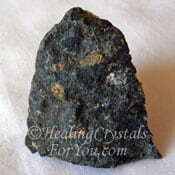 They are helpful to assist the body to release toxins, as well as helping you if you are battling addictions. They will assist healing of the immune system, muscle and bone problems and may assist rehabilitation for anyone who has been affected by man made radiation sources. 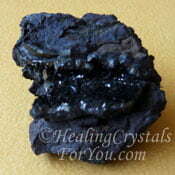 They may also help the healing of issues related to the liver, spleen and gallbladder. For those who have discovered they are sensitive to electronic devices, especially computers and wi-fi, its kind of scary and it can take some time to get a handle on. Electrical sensitivity is commonly caused by stress combined with spending time using computers mobile phones and other devices. 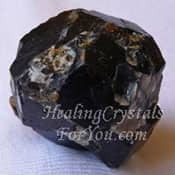 It is quite hard to get a handle on, so I thought I would explain more here, even though this section is not about crystals as I wanted to assist anyone who is looking for help. I also looked for practical ways to make changes in my environment as well. I found a number of websites that helped me to work out what to do, including an excellent web-site that I already knew about called Electric Sense.com. This is a personal issue that can take some time to look into and using every practical resource at your disposal makes it easier to navigate this world we now live in. 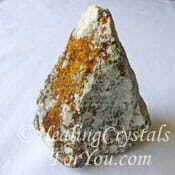 I used the website Less EMF to purchase various items, they sell online and deliver worldwide. Judy Halls book Crystal Prescriptions: Crystal Solutions to Electromagnetic Pollution and Geopathic Stress is an excellent guide to help you as well. Read my review of Crystal Prescriptions Volume Three. In this book, Judy Hall recommends Petaltone essence for electrical sensitivity, as well as other excellent essences made by David Eastoe, including essences for cleansing crystals. Check out the Petaltone UK Website (he also has a US website) and look for the essence known as EMF Protect as it works well to help you. I have these two essences on hand and use them if I am going into environments where there are large numbers of mobile phones being used. 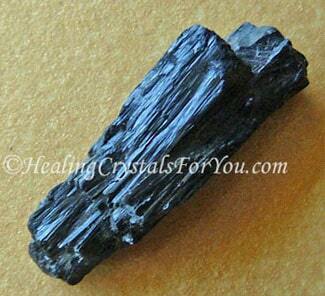 Being a passionate crystal user I also looked for crystals that would help me. 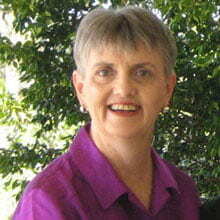 Check out Judy Halls book mentioned above, if you have electrical sensitivity. 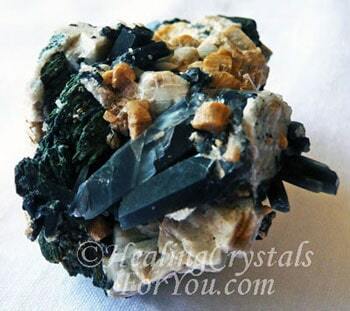 I found quite a few EMF Protection Crystals including Fulgurite, Black Tourmaline and Shungite as well as some others you can find listed in the section below on combining crystals. 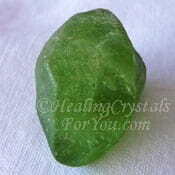 To boost its healing action if you are suffering from a sensitivity to any type of electromagnetic radiation, use it with any of the other stones known to help with this issue. 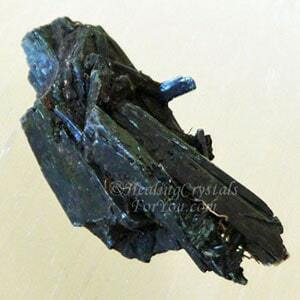 EMF protection crystals that may be helpful for those with electrical sensitivity to use includes Shungite, Aventurine, Black Tourmaline, Fulgurite, Amazonite and Flint. 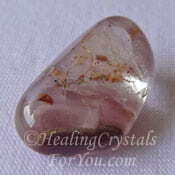 Used alone it is a potent stone for psychic protection, that prevents psychic attack, but if you wish to trial it with other stones there are a number of excellent ones you may combine with it. 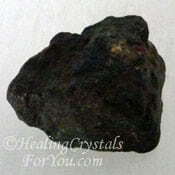 Some specific stones you may like to use along with this stone to boost the level of protection includes Moldavite, Black Tourmaline, Pyrolusite, Kimberlite, Cookeite, Tantalite, Black Obsidian, Black Andradite Garnet, Shattuckite or Charoite. 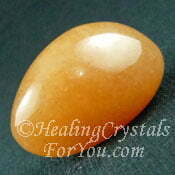 The energy of this stone is also well known for its action to stimulate feelings of joy and happiness. If you wish to have a major influx of good feelings in your life, combine it with other stones that also increase happiness. 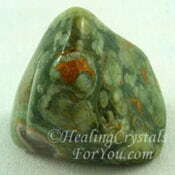 Stones that may assist you to feel more joyous includes Green Tourmaline, Poppy Jasper, Chrysoprase, Peridot, Chalcopyrite and Rainforest Jasper. If you are experiencing stress or anxiety, it may be valuable to use stones for stress relief, as this can assist you to improve how you feel. 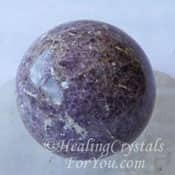 There are a large number of stones that are well known to assist stress and you may already have some of these in your collection. 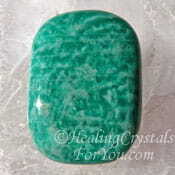 Stones that may particularly be useful for this purpose includes the lovely green Amazonite, Lilac Lepidolite and Lithium Quartz, but there are a lot more listed in my article on relieving stress.